Car buyers crave reliability. But even a trustworthy brand isn't always enough. Some people want extra protection, from an extended warranty. Are they being sensible shoppers or sitting ducks, for preying salespeople? TUCSON, Ariz. - When Mike Sasloff bought a pre-owned car recently, he chose a Subaru Forester, largely because it gets top marks from Consumer Reports for reliability. But still, he paid extra for an extended warranty. "Completely about peace of mind. Not something I usually do on smaller purchases, but for the car, and having it be a pre-owned car, it seemed to make a lot of sense," says Sasloff. It may be years before Mike knows if he made the right call, financially. But auto experts at Consumer Reports say the odds are not in his favor. 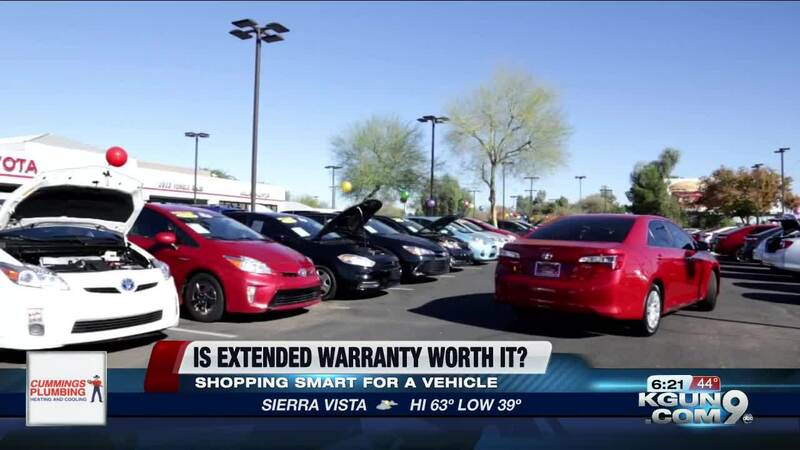 "An extended warranty may give you peace of mind, but Consumer Reports has found that buyers aren't always going to see a return on that investment." says Consumer Reports Auto Editor, Jeff Bartlett. Not surprising, since extended warranties can also make a lot of money, for those who sell them. The Better Business Bureau recently issued a warning to consumers after receiving hundreds of complaints about companies selling extended auto service contracts -- and suggests using extreme caution, when considering one. "A better plan would be to take whatever money you would spend on an extended warranty, and instead put that in an emergency fund," says Bartlett. "You'd have that money available if you need a repair, or you can put it towards your next car." But if, like Mike, you find comfort in an extended warranty, Consumer Reports urges you to read the fine print. Considering things like the length of the plan, the coverage limitations and of course, the price. Which remember, can be negotiated - just like the price of the car. Consumer Reports also suggests focusing on buying a car with a better-than-average, predicted reliability rating and then properly maintaining it!